We would like to thank you for your support by adopting one of our ponies. If your adoption is now due to expire or has recently expired you can renew it here. PLEASE NOTE THIS IS FOR RENEWALS ONLY as you will not be receiving the adoptions pack. 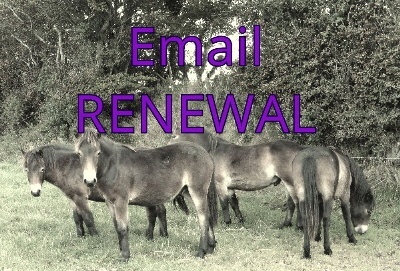 You will be sent an updated Certificate and continue to receive a regular update about your pony BY EMAIL. At the checkout please note your Adoption Reference no. (if known) and should you wish to change your adoption pony please note this and any other changes in the message box. Free Delivery if this is the only item purchased.